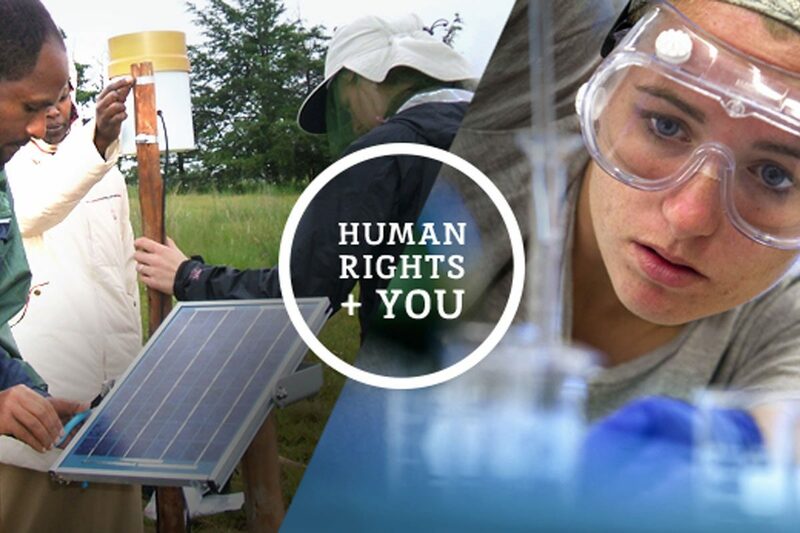 In the human rights major and minor, students receive interdisciplinary instruction in theoretical, comparative, and historical perspectives on human rights through classroom courses and gain valuable practical experience in the human rights field through a supervised internship. As a second major, the HRTS major requires another, primary major in a different discipline. Please note: it is possible to graduate with honors in human rights. For more information about the honors program see here. To discuss integrating a Human Rights degree with your Honors coursework, please contact a member of the Human Rights Advising Staff. 12 credits must be taken from the Elective Courses. Students may also take additional Core Courses to fulfill their Elective requirement. 3 credits are taken from the Capstone Courses, selecting either a service learning/ internship experience or a senior thesis seminar. 12 credit hours of Related Courses must be completed as approved by the Director of Undergraduate Programs. The HRTS list of related courses may contain human rights relevant courses from the primary major's core and elective course lists. All students must complete an approved W-Course for their Human Rights major. Why do I need a Major in another field? Can I just have a Minor or two Minors in other fields? No. The second Major requirement is designed to ensure that the broad, interdisciplinary education you receive as a Human Rights major is supplemented by deep knowledge in a traditional discipline. Can my second Major be anything I want? YES! Any CLAS major is can be combined with HRTS as a double major. Majors in schools other than CLAS can be combined with HRTS as an additional degree. Do I HAVE to take HRTS 1007, which is listed as a Recommended Course? HRTS 1007 is recommended but not required as a preparation for the higher-level HRTS courses here at UConn. Do all of my Human Rights minor courses count toward the Major? Yes, but the minor's core course list has two divisions, while the major's has three, which may obligate some students to take another core course when switching to the major. What happens if I don't complete my other major but have enough credits to graduate? You must complete a primary major in another discipline to graduate with a degree in Human Rights, regardless of how many credits you have completed. What happens if I don't complete my Human Rights Major but have enough credits to graduate? If you do not complete the requirements for the Human Rights major, but have completed the requirements for your primary major and have enough credits to graduate, then you will be able to graduate, but without the Human Rights major (though possibly with a HRTS minor).